LOS ANGELES – The Los Angeles Kings have acquired goaltender Jack Campbell from the Dallas Stars in exchange for defenseman Nick Ebert, Kings President/General Manager Dean Lombardi announced today. Campbell, 24 (born Jan. 9, 1992), appeared in 19 regular-season games with the Texas Stars (AHL) last season, posting a 7-7-5 record with a 3.65 GAA and a .884 SV%. 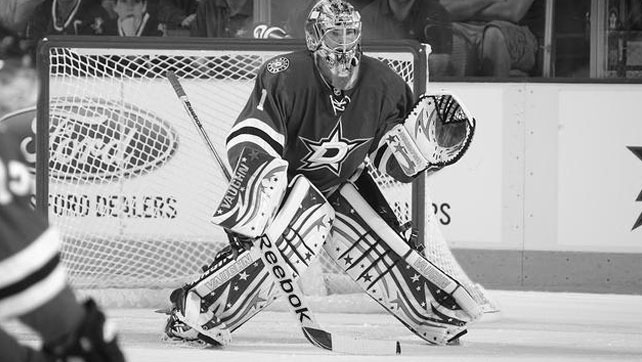 He played in three playoff games with Texas, registering a 1-2 record, a 4.45 GAA and a .880 SV%. Campbell appeared in 20 regular-season games last year with the Idaho Steelheads (ECHL) as well, posting a 14-5-1 record with a 1.68 GAA and a .944 SV%. The 6-3, 200-pound native of Port Huron, Mich., Campbell made his NHL debut (only NHL appearance) in the 2013-14 season making 41 saves in a 6-3 loss to the Anaheim Ducks. Drafted by Dallas in the first round (11th overall) in the 2010 NHL Draft, he has appeared in 122 regular-season games with Texas, posting a 56-43-10 record with a 2.79 GAA, a .908 SV% and nine shutouts. He was also a member of the 2013-14 Calder Cup Championship team. Campbell has made multiple appearances for Team USA, highlighted by two Gold Medals at the U18 World Junior Championships (2008-09 and 2009-10), a Gold Medal and a Bronze Medal at the U20 World Junior Championships (2009-10 and 2010-11 respectively) and a Bronze Medal at the 2014-15 World Championships. Ebert, 22, has appeared in 89 regular-season AHL games (with Ontario and Manchester) posting 26 points (10-16=26), a plus-15 rating and 46 penalty minutes. He was selected in the seventh round (211th overall) by the Kings in 2012 NHL Draft.